Will and I traveled to King Family Vineyards in Charlottesville, VA knowing that this was going to be one of our favorite weddings to date. We love winery weddings and southern details, but more than that we knew that Jessica and Jon were warm, welcoming people that we were going to love spending the day with, and we were right! When I first walked into the room where the ladies were getting ready, I immediately felt the buzz of energy. They were all toasting with champagne and were all in their matching floral robes! So cute. Several bridesmaids even came to help me out with detail shots, bringing me dresses and the many elements of the wedding details. 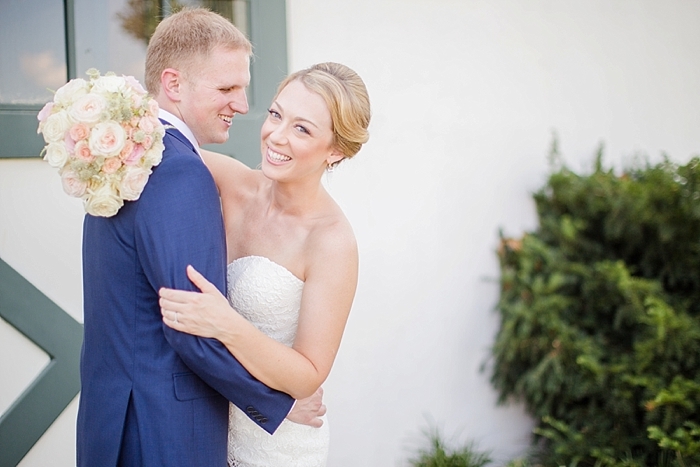 It was much appreciated and demonstrated the love that Jessica and Jon were surrounded by! It's always hard to pick out a favorite part of any wedding day BUT if I had to, I would say it was during the reception, when we stole the bride and groom away for some sunset portrait time. I asked Jon to "dip" Jessica for a picture so he did... and then held her for much longer! I asked "I guess you didn't want to let her go?!" and he vigorously shook his head left and right and we all laughed. Most grooms do not love portrait time BUT you could tell Jon didn't mind posing for pictures at all as long as he was with Jessica. It was a small moment but it reminded me of the precious joys that a husband and wife share for the rest of their lives. Jessica and Jon, we are so blessed to have worked with you both and loved getting to be a part of your big day. I hope you get to sit back and enjoy a few favorites from your wedding day! These ladies were so much fun and all smiles all day!! Time for the first look!! Oh these two! Model status! Time for the ceremony! It could not have been a better day! LOVE this seating card display! As the sun set, we hurried outside for a few "glowy" portraits... I think we made the right choice!! LOVE!! The sweetest part? Jon didn't want to let her go!! The best man had everyone in stitches! Gotta love the Jangling Reinharts. They really know how to show people a good time!